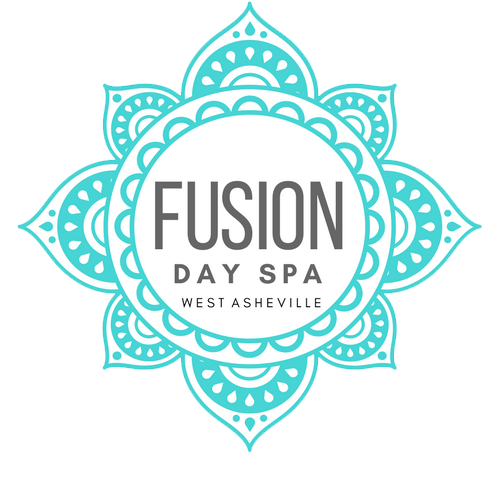 Welcome to Fusion Day Spa West Asheville! This facial features Epicuren®’s B io Peptide Complex S e rum an nd PhytO2 Hydration Serum to improve fine lines, wrinkles, and puffiness. The peptides affect neural memory by relaxing the skin while the plant extracts promote cell turn-over and rejuvenation. Together, these products will dramatically improve moisture retention and oxygen supply to the surface of the skin. This facial addresses the main areas of concern for clients dealing with acne: inflammation, bacteria control, exfoliation, and modulating oil production. Epicuren® acne treatments utilize a unique combination of exfoliating enzymes, sulfur, propolis, and probiotics as an alternative to traditional methods, resulting in a noticeably clearer complexion. This facial is an extremely calming treatment and is beneficial for even the most sensitive skin. The Green Tea & Seaweed Soothing Mask will detoxify, then replenish the skin using a variety of South Pacific Ocean Seaweed ingredients delicately blended with Green Tea. This clean, refreshing mask delivers rich minerals, vitamins, and enzymes from the ocean to your skin. Designed specifically for gentlemen on the go, this targeted facial is ideal for the man who has just received ashave and a haircut, or is simply looking to maintain a clear, youthful complexion. The combination of steaming hot towels, enzymatic peel, hydrating mask, and last but not least...relaxing neck and shoulder massage, create the perfect quick fix treatment to refresh and refine all skin types. Gemstones radiate a life force of sacred energy to bring harmony, balance, and transformation. For the skin, they dramatically increase hydration, while sending a positive charge throughout. The Exquisite Gemstone Facial harnesses the power of precious gemstones to restore the mind and body, and rejuvenate the skin, leaving it visibly lifted, refreshed, revitalized and luminous.